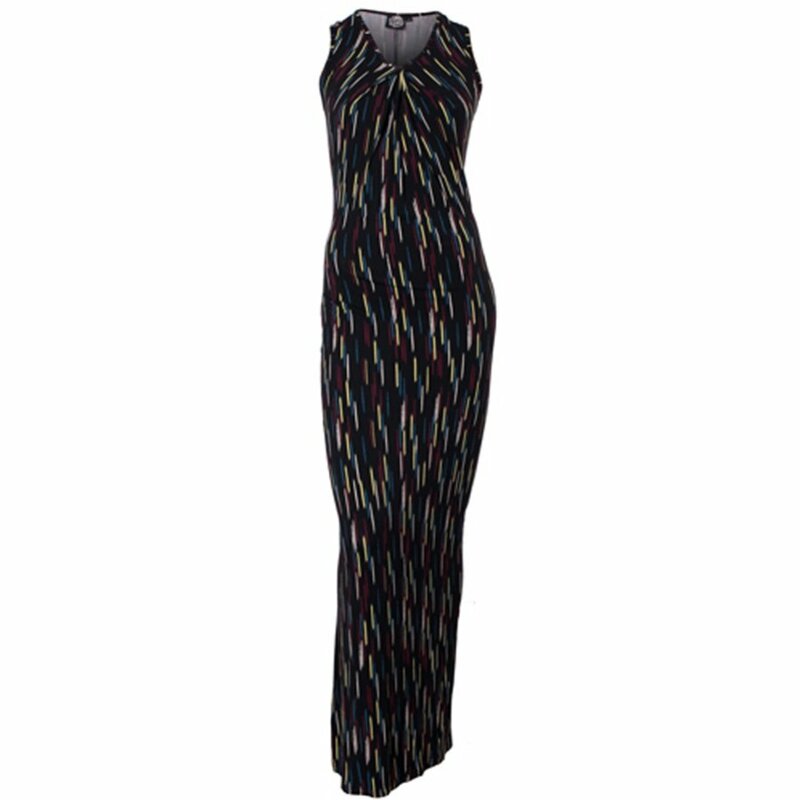 Funky and fabulous Nicole Black Brush Stroke maxi dress. Perfect for many occasions and finished with a slight v-neck and colourful brush stroke design, making this the ideal day-to-night wardrobe staple. Nancy Dee proudly manufactures every garment in the UK and is committed to eco-friendly, premium quality fabrics and sustainability. There are currently no questions to display about Nancy Dee Nicole Black Brush Strokes Maxi Dress. Nancy Dee is a pioneering womenswear label which combines a strong ethical philosophy with an equally uncompromising focus on style. The label was created in 2008 by sisters Seraphina and Tamsin Davis who share a passionate belief that responsible fashion is possible without compromising on quality or design. Nancy Dee take the utmost care to ensure that the life cycle of all garments, from production to their eventual disposal, has the minimum environmental impact. The Nancy Dee range is made from the highest quality eco-friendly, renewable natural sources such as soya, bamboo and organic cotton. Rather than fashion-fad, one-season wonders, Nancy Dee garments are designed to be long-wearing, versatile pieces that translate from day to night and season to season. Exclusively designed and manufactured to the highest standard right here in Britain, these stylish vintage inspired pieces will last years to come.